Run Time: 113 min Rated: PG (Canada) PG-13 (MPAA) for thematic elements and intense sequences of sci-fi violence and action, including some disturbing images. The Maze Runneris a sci-fi action thriller aimed at young viewers. Set in a post-apocalyptic dystopia the film, based on the book of the same name, catapults its audience into the thick of the action from its first frame.A boy (Dylan O'Brien) awakes in an elevator moving up quickly. He doesn't know where he is, he can't remember anything from his life before that moment and, at first, he can't even remember his name. The elevator, called the Box, hits the top of its track and opens into the middle of a large field called the Glade. He is surrounded by other teenage boys— the Gladers—who, like him, are trapped in the middle of an enormous maze. Within the Glade they have set up a society with a leader and vocations. One of these vocations is “runner.” The runners run the maze during the day trying to find a way out. (No one runs the maze at night because of the deadly dangers inside.) The Glader society is built on three rules: 1) Do your part; 2) Never hurt another Glader; and 3) Never go beyond the walls. The vocation of runner is the obvious exception to the third rule. Eventually the boy remembers his name is Thomas and, unlike some of the other boys, he has a fierce desire to escape the maze.Being new to the maze world Thomas needs to be introduced to everything. This works well as a plot device to help viewers get a handle on what's going on. For those unfamiliar with the book series, the film provides an unfolding mystery. Why are they in the maze? Who made the maze? Why can't they remember their personal past? 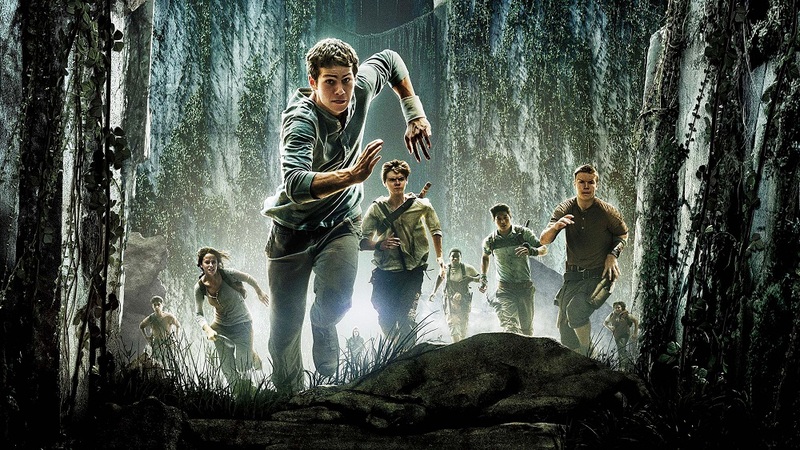 The Maze Runneris part of a genre of films—Harry Potter, The Hunger Games, Ender's Game, Divergent—drawn from the popular young-adult literary genre. They all feature children and/or teens emerging into an adult world and along the way discover who they are. Each story has at least one central character determined to change things, and in whom people rest their hope. After viewing dozens of these films they can start to feel derivative. The real interest comes in seeing what a film like The Maze Runnerintroduces that's fresh and different. 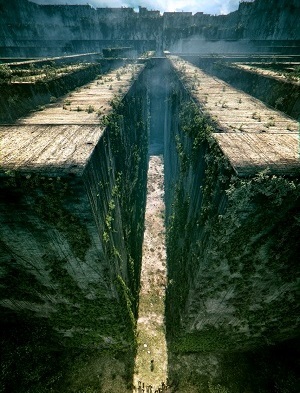 Along with high intensity action, The Maze Runner brings a sense of mystery to the table as its story unfolds.This makes it feel a bit like the TV show LOST.When some of the answers finally begin materializing in the film’s third act it's done in such a way that the audience is left knowing more than the central characters. Dramatic irony is not new, but when coupled with the amnesiac plot device The Maze Runnerends up feeling fresher than other films in the genre. The importance of memory in the formation of identity likewise plays a big role in maintaining the film’s fresh feel. Not having a personal set of memories changes the way the boys look at the world they live in. Generally, this keeps them focused on the present and the future. Following the death of one boy, the youngest Glader named Chuck (Blake Cooper) laments that all he can do now is forget the dead boy. His instinct isn't to remember but rather to forget. Related to this, Chuck desperately misses his parents but can't remember anything about them, even though he is still hopeful of seeing them. 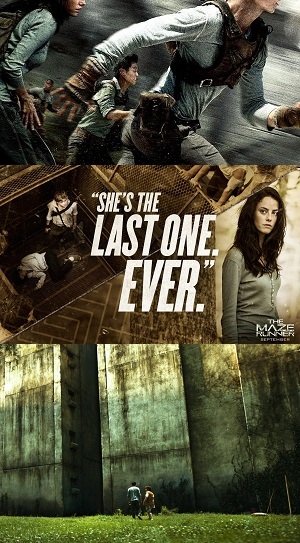 This drives his trust in Thomas who provides the Gladers their first real chance of escaping the maze. Memory plays a big part in Thomas’ unfolding story too. He has dreams where fragmented flashbacks reveal clues to solving the mystery of the maze. And when a girl named Teresa (Kaya Scodelario) emerges from the Box with a note saying "she's the last one," she also arrives with a memory; she remembers Thomas. Remembering the past becomes a key element of facing the future and solving the maze. Even the dangerous and frightening scorpion/spider-like cyborg monsters, the Grievers, who populate the maze play a part in finally gaining back some of Thomas' memories. Christian viewers may note the main character's name—Thomas. Of all the names in the world to choose, the author of The Maze Runner books, James Dashner, chose Thomas which the film retains. Most people in Western culture are familiar in some way with Jesus' disciple Thomas even if only vaguely from the phrase “doubting Thomas.” The Scriptural Thomas' scepticism has some correlation as a character trait with the film’s the central character. Some of the film’s characters are content to live out their lives in the Glade, chief among them is Gally (Will Poulter). Conversely, Thomas' scepticism drives his actions. Scripture reveals another character trait that Jesus' disciple Thomas shares with the film's Thomas. The Thomas of Scripture is very brave. In the Gospel of John, with the threat of death looming over Jesus and His disciples as they set out to go ever nearer to Jerusalem, Thomas said to his fellow disciples, “Let us also go, that we may die with [Jesus].” Thomas in The Maze Runneris often shown courageously putting his life on the line in his desire to escape the maze and help others. Is The Maze Runner the next Hunger Games? No. But it is better than last year's Ender's Game and, with a release date for its sequel The Scorch Trials set for September 2015, the film's producers are hoping audiences remember the action, adventure and mystery of The Maze Runnernext year. Young people will likely identify with the idea of being thrust into a world that operates like a kind of maze. Very young and sensitive viewers are warned that the film contains moments that capitalize on claustrophobic and arachnophobic fears. The Maze Runner isn't a perfect movie but it contains enough intrigue and adventure to leave audiences wondering what will happen to Thomas next. What will he learn? What will he remember? The Rev. Ted Giese is associate pastor of Mount Olive Lutheran Church, Regina, Saskatchewan, Canada; a contributor to The Canadian Lutheran and Reporter; and movie reviewer for the “Issues, Etc.” radio program. Follow Pastor Giese on Twitter @RevTedGiese.